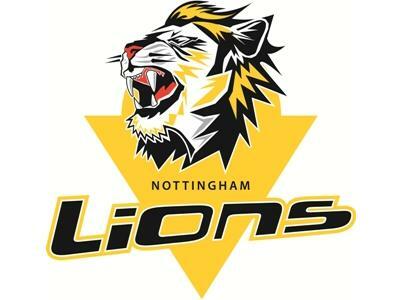 Welcome to the Nottingham Lions thread for the 2008-09 season! This season it's going to be harder. The ENIHL North has been split into two divisions, and we're in the top (tougher) set. Fewer oppponents - but twice each home and away instead of once. More games - more grudge matches? Last season the Lions had Sam Bullas, Joe Graham and Robert Lachowicz. This season they're all wearing Panthers jerseys. How many future Panthers will you see with the Lions this season? The Pride Of Nottingham have lifted silverware - and they like it. Last season, the Kingston Jets were as rough as you like... more PIMs than a yuppies' reunion banquet! Will they stay on the same path as before (keeping their larger cousins company)? Will the Lions skate rings around them again? If you can't make it up to Altrinchamc your hockey fix is waiting in the Olympic Rink, Sunday at 7:15pm. Come and support The Pride Of Nottingham. There are a small number of seats available for travel to away games on the Lions’ team coach. Unfortunately we are not able to guarantee an exact number of seats for every game, so all reservations will be on a strictly first-come first-served basis. Travel costs will be £5 per seat. Seats are strictly on a first-come, first-served basis, depending number of players and team officials travelling. Travel is on a luxury coach with toilet and DVD/Video player and all have seatbelts. All coaches leave from the Silverdale depot on Little Tennis Street in Colwick (off the VirginMedia/NTL Island). The depot provides free, secure parking and is easy to get to from the centre of Nottingham. If you are interested in travelling with us then email awaytravel@nottinghamlions.co.uk and we will be able to provide further details. Although there are no current plans to take coaches to Coventry and Hull (Kingston) this may change, so keep an eye on both the Official Lions site at www.nottinghamlions.co.uk and also on The Cage Forum. Sounds like fun, I might check it out and I might have company. While I am a firm believer in the team's philosophy of "it's the badge on the front that's important, not the name on the back", is there any chance of a sneak preview of who will be wearing a Lions jersey this season? Additionally, will the excellent View from the Sieve column feature in the matchday programme? Ben Bliss scores on his debut for Lions on the PP. Back from the game now. Although the Lions lost, it wasn't a bad loss, and we definitely didn't deserve to lose by 3! First game under a new coach, new players and new systems. It should be a better game tomorrow. Think I got the total pens wrong, but there was no programme and I wasn't writing things down! Matthew Haywood 3+0, Shaun Ashton 1+0, Richie Oliver 0+1. Lewis Bell, Mike Holland, Nick Manning, Tom Squires, Arran Strawson, Joshua Wilson all 2mins each. Ben Bliss 1+0, Chris Colegate 0+1. Mark Corfield, Chris Colegate, Simon Harrison, Josh Ward, Craig Poynter 2mins, Sam Bullas 4mins. Goalie - Alan Levers 4+10+14 = 28. Lions won their first home game - beating Kingston Jets 4-3. Didn't get to see much of the game due to the Friends of the Lions being short on helpers, but I'll post scorers etc later tonight. The more things change, the more they stay the same. A new coach and several new/returning faces, but it was definitely still a Lions game. They dominated for long parts of the game and played some good hockey, but didn't convert as many chances as they may have on other days and get what looks like a narrow win against a weaker team. Kingston, on the other hand, played the same way they always did - tough in their own end and try to shovel it up the middle to a forward to catch the Lions on the break. It's reassuring their tactic of taking niggly penalties (so many interference calls!) to break up their opponents' style (see also #15 right at the end, trying to draw Bullas into a penalty, before he lost his stick and got stapled to the boards by Wood). While that worked against the Lions, they will probably come unstuck against more physical teams. I think the fight, while not exactly Probert v Domi, was pretty good, and a valid example of the league's rule change in action. Both players received 2+2+10 (1 penalty point), and after that the rest of players just got on with the game. The fight calmed the teams down, rather than as the EIHA fears, the game turning into a mass brawl. Who was the fight between Ed? It was Simon Harrison from the Lions, and i think it was something like Sawyer from Hull but not 100%. 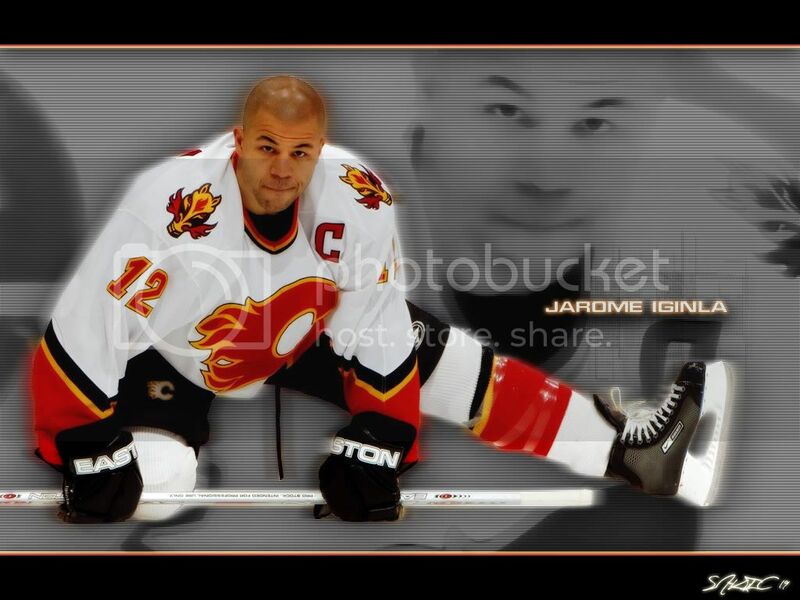 He was gooning it up most of the game, speared me in the knee on one of my two shifts, luckily the ref called a penalty or i was ready to rip his head off. NOTTINGHAM LIONS - ENIHL NORTH CHAMPIONS & NATIONAL CHAMPIONSHIP WINNERS 2007-2008[br][br]NIHL NORTH 2 CHAMPIONS 2012-2013[br][br]Nottingham Lions Captain #9[br][br]''When hell freezes over..... I will play hockey there too! ''[br][br]Winning isn't everything..... It's the only thing. [br][br]Quitters never win ..... Winners never quit. To be fair Luke your benchwarming was, as ever, of the highest standard . Also, the last time this coach took charge of the Lions in Nottingham you didn't get on at all, IIRC. I'd not seen Harrison play for a couple of seasons so I don't know much about his style, but his numbers from last season don't look like goon numbers. The main characteristic of the fight was that one player had been trying it on all night and in Harrison he found a willing and equal opponent. This was not a thuggish attack by either side, nor was it a fight for fighting's sake. Speaking of which, it's Mincoffs Newcastle Northeast ENIHL Vipers Reserves back to back next isn't it? Kingston player was Sayer (not Leo) who himself took 20 penalty minutes in the game- just under half of Kingston's total. Kingston sort of annoy me as a team, because they've got some decent players and good kids, but just want to goon it up all the time- if they hadn't have been in the box during the first period we might never have got back in the game so quickly. yeah but by his willingness to fight he certainly felt like danci- ok never mind. Kingston have always taken a lot of penalties and they took a lot of interference calls. I can see why they try to play that way - you take a team that fancies itself in a brawl, like Newcastle or Billingham or Whitley, and if the Jets can start a couple of fights and get these teams' best players out of the game for a little while, it's hardly surprising that they try it on. As has been said before, there are no easy games this season, but at the same time a home loss could be the difference between making the playoffs or not. Ed's got it spot on - this season is going to be the toughest ever in ENL. Previously you can predict who's going to get the top 6 spots - I don't think you can do that this season. Home games are going to be the difference between playoffs and relegation, anyone who wins more than 50% of their road games aren't going to have a problem with relegation. The Lions are a little rusty I think - it seems like a long time since they played, and comprehensively beat, Peterborough but I have all confidence in the new coach. He knows what he wants to do and I just think that it'll take time for the players to adjust. Also once it settles down with the Panthers and we know exactly when we'll have Lacho, Bullas & Norton playing then that will make a difference too. Despite only getting 2 points for the weekend, there were plusses - young Josh Ward came within a whisker of earning the Man of the Match on Sunday. He put in 2 excellent performances for someone who is playing for the Seniors for the first time. Lions next game is away to T'Blackburnawks on 21st September, before we have a double header weekend against Newcastle on 27/28th September. Luke I admire your style, and the way you seem to be following my strategy for ingratiating yourself with higher-ups at the Lions . That having been said, I hope you get some ice time in Blackburn, mainly because of your noble effort in the game against t'Hawks last season. Also, because you successfully navigated us to Lancashire (a game where the sole manager was yours truly, ably assisted by Luke F, Shaggy and Tom) without the slightest trace of getting us lost, which never happens when we go to Blackburn. It hasn't been mentioned yet but it was good to see what Karl Holmes looked like on a competitive team. Surely he's a contender for most man of the match awards ever? He's a good guy and he's gone from being the Grimsby player that it's ok to like to being the Kingston player that it's ok to like. Cant really see Lacho and Bullas playing that much this season for the Lions the way they have played so far for Panthers.. Unless they role straight onto the olympic pad after a sunday game maybe? Especially Lacho anyway he's really shocked me how well he has came on since last season..
Adam, Sam Bullas has played twice for the Lions, as has Tom Norton. Lacho hasn't played for the Lions yet this season but considering he's doing so well for the Panthers I'm not sure if he will be. I would have thought that they'll possibly play for Panthers then Lions but I think there's only a couple of dates when the Panthers and Lions play at home together. Anyway, I'll leave it to Coach Corey and Coach Martyn to decide who plays for who and when!! Thats fair enough i knew Bullas and Norton had played for Lions instead of Panthers so far this season. Think it will stay like that unless we get injuries, hopefully see the better of Sam and Tom next season with the Panthers. I have already spoke to Rich, he listened and we had a chat about it. That was the end of it out side the changing rooms on Sunday. What got me going on the way out of the building was discovering that a lot of people (counted at 20+) are still getting into games for free. And i think thats something that should be discussed on here, as fans that come and watch the game read this forum. Players are being asked to cough up over £100 a month (more if we have more games) and included in that is a fiver to play a home game. So those 20+ people that are still getting in for free are taking £100 directly out of the players pockets. Why should we subsidise these people. Yes i have issues with how much ice time i got on sunday, especially when the D we had didnt have the best of games. But this was discussed with Rich and he is taking it further for me. My digs on here and regarding the money are aimed at those who are taking advantage and not paying their way. That's fair enough Luke but there are better ways of making your point! But it's not a new problem, we've been having these issues since we regularly played out of the Olympic pad. Unfortunately there are people who simply don't think they should pay to get in! As you know we're limited to what we can do on game nights - we're not rink staff but volunteers! The main trouble I found when managing the Lions and trying to think of creative ways to get more people in is that people in Nottingham see the Lions as a hockey charity. They see phrases like "the players pay to play" and think it means "the players are happy to pay to play so the team doesn't need the income". For others, because they pay to watch other teams' games in the same building they don't see why they should pay to watch the Lions. This isn't a new problem and I don't see it going away any time soon. Hopefully the Publicity Officer will be able to repeat the stellar job of getting students along that he did last season.